Clearing Spray can easily be described as “Smokeless Smudge” …odorless too! CLEARING assists in, eliminating, discharging, removing and releasing unwanted vibrational energies. CLEARING helps to expel attachments and to cut cords. You may also find CLEARING beneficial while performing the mundane and physical tasks of cleaning and sorting as well. Directions for CLEARING: Spritz this energetically charged spray in areas that need cleansing. Use it on yourself after a tension filled day, or during times of stress to help remove the negativity that builds up. Many health care practitioners find it useful to spray between clients to restore a “clean” atmosphere. May be used orally on or under tongue or by adding to a glass of water to sip throughout the day. Repeat as necessary. 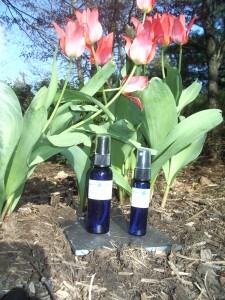 “CLEARING” is the only Combination Energy Elixir offered in 4 oz, 2 oz, 1 oz, 10 ml and Travel Size Spray Bottles. RT @JonReinish: So wait why is all of the focus on @TheDemocrats when the question @GOP should be, why do you support foreign interference in our elections?